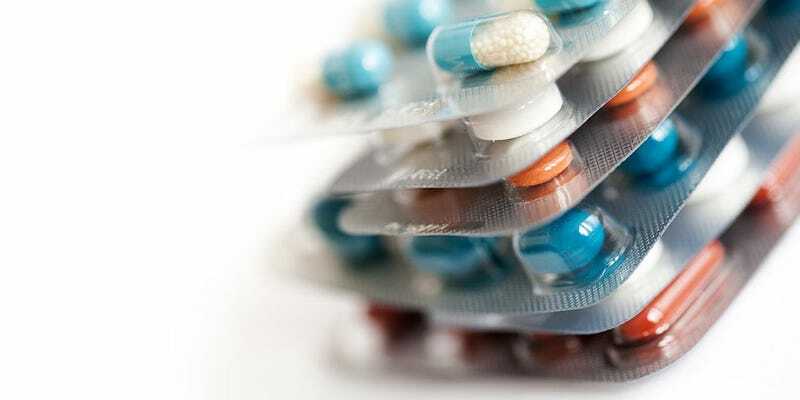 Don’t panic (you should probably panic), but a team of researchers has discovered the first known example of a resistance gene, present in animals and some human infections, for a type of antibiotic known as colistin—the so-called ‘last resort’ antibiotic. Back in 2012, the World Health Organization deemed colistin—an antibiotic in the family called polymyxins—to be critically important. That’s because some bacteria have remained entirely susceptible to the antibiotic, despite having built up resistance to all others. In other words, colistin can be used as a last resort antibiotic to treat people when no other is up to the job. But a new study performed at the South China Agricultural University in Guangzhouin China has found a resistance gene called MCR-1 for colistin—and, more worrying, noticed it can move freely between bacteria. So freely, in fact, that the team found the gene in a staggering 15 percent of meat samples and 21 percent of animals that it tested between 2011 and 2014. The results are published in Lancet Infectious Diseases. Sadly, the story gets worse: the gene has also been spotted in human infections, too. Admittedly, the numbers are small— the team found 16 examples of the genes in a total of 1,322 samples taken from blood, urine and other samples in Southern China. But only small for now. As New Scientist reports, the team warns that the gene’s ability to move from one bacterium to another means that it’s virtually inevitable that bacteria will swiftly become resistant to colistin. It can do so because the gene is carried on what’s known as a plasmid—a piece of easily transferred DNA. In fact, the team already has evidence showing that it can easily move into bacteria like Klebsiella, Pseudomonas and Escherichia coli, which cause a series of infections in humans. It remains to be seen how quickly the gene may spread more widely—but given that antibiotic resistance already kills thousands of people every year, it’s bad news however fast it happens.